It wasn’t exactly 40 days and 40 nights of rain, but Iowa has been getting drenched lately and it appears the worst of it may be over, though what’s left of Tropical Storm Gordon is on the way. Meteorologist Jeff Zogg, at the National Weather Service, says a few dark clouds and light showers will move across Iowa’s southern half today, but after that, skies should begin to clear. Some parts of Iowa have seen record rains with two, three and four inches of rain per day — or more — but other areas of the state are still quite dry. In that respect, Zogg says the remains of that tropical storm will bring welcome precipitation. As communities like Cedar Rapids prepare for the high water, Zogg notes most of the flooding so far has been in low-lying areas that commonly get soaked. While some roads and parks are closed, few Iowa homes have been impacted and there have only been a couple of evacuations. 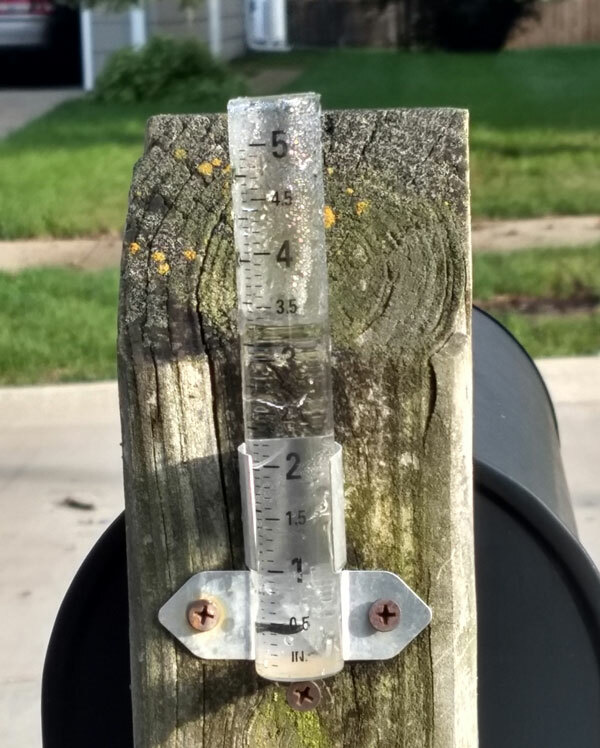 “The worst flooding is expected to occur across eastern Iowa where there is moderate to major flooding occurring across some of the rivers there but a relative dry period,” Zogg says. “We can expect the rivers to gradually fall next week.” Major flooding is expected on the Cedar River at Cedar Falls and the Wapsipinicon River at Independence, with moderate flooding of the Iowa River at Tama and other places like Beaver Creek in Hudson.